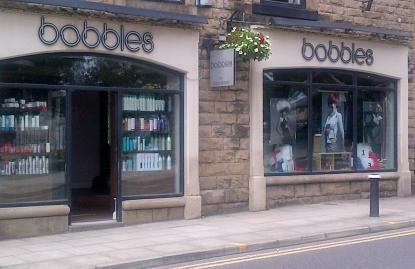 Bobbles Hairdressing was established by Mark and Kathryn Tonge along with two assistants in 1984. The first salon in Tottington was followed by another salon in Bury town centre in 1998 and the team has now grown in strength to thirty. The philosophy of the salon, from day one, has been ‘To deliver the highest quality of hairdressing and service consistently and to treat every client as an individual’. Not been here usually go to bury but fancied a change and this salon is nearer home. What a lovely team will definitely be going there from now on. Thanks girls love my hair???? Went in sporting a disheveled tatty mop and came out sleek and smooth. Very happy with all aspects of my visit and wod happily recommend. Very pleased with the quality of the haircut and the service too. My 4 year old daughter and my 2 year old son have been attending bobbles since they were babies and had enough hair to cut! They absolutely love going, it's a real treat to them as the staff are all lovely, great service and Lucy G, who cuts their hair, is fantastic with them. Also the added bonus of a drink and a lollipop, bobbles is a real winner in their eyes! Lucy H always does my hair just as I ask for it to be cut! I'm a happy lady again today! Enjoyed my visit to Bobbles Tottington. Lovely, friendly staff who go out to their way to ensure you are both comfortable and having a good experience. At Bobbles you get a consist approach which is frindly and professional. The salon is well presented and the staff always ensure that they take care of their clients, creating a relaxing and frindly atmosphere. I come here regularly. Vicky cuts my hair really well, everyone is friendly and there's a nice, relaxed atmosphere. Good appointment with Lucy H, half head fools wash and cut. She spent time with me and gave suggestions re future semi permanent colour, something I haven't thought about before. All staff welcoming and friendly and I have always been happy with each appointment genes returning for nearly 25 years. It was my first time at Bobbles and I was made to feel very welcome from the start. Lucy gave me a great cut and I am more than happy with my hair. The best haircut I have had in years! Having not been able to settle in hairdressers since moving to Bury, I thought I would give Bobbles a go because each time I went past it looked very appealing and professional. After my appointment I can say that I have not been disappointed! Very helpful advice and tips given throughout the appointment plus I love my new haircut! Once you step off the street and into Bobbles you enter a new world. A world where everything is done just the way it should be. It goes without saying that the hair dressing skills and expertise of the team are the best in town. What really sets Bobbles apart though is the customer experience that the team consistently, tirelessly and passionately create. Great colour and finish as always and yummie hot chocolate to drink in between. ???? Had my hair cut tonight by Lucy H; she did a fantastic job as normal. The team in the salon are always polite and put clients first especially Diane.